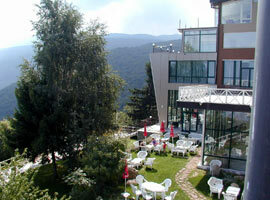 ﻿ Kopitoto hotel in Vitosha. 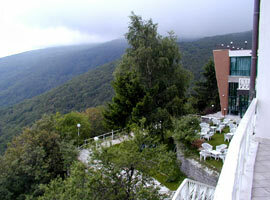 Book Kopitoto hotel in Vitosha ski resort, Bulgaria. Kopitoto hotel. 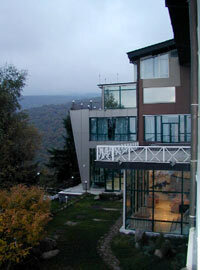 The renovated complex Kopitoto is situated in the eastern port of the "horseshoe", on the rocky edge of the Big Horseshoe countryside, and has a terrace, which is 1325 meters above sea-level. The building is an architectural masterpiece and functionally fulfills all conditions for business and other tourism, with its extras of a world high-class hotel of five stars. 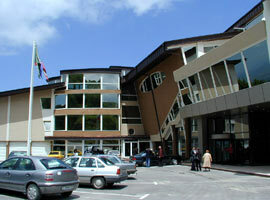 Three conference hall is available in the hotel complex. 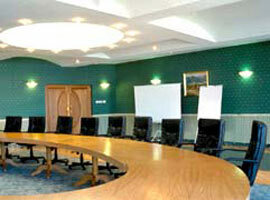 They correspond exactly for meetings and are equipped with flip chart, screen and overhead projector. Just before the sunbeams shine on in Sofia, they touch the ridge of Vitosha Mountain and outline the south horizon for more than a million residents and guests of the capital… From the same place you can see the most beautiful sunrises and sunsets. An extensive panorama will be revealed in front of you if you travel a few minutes by car or use the especially marked paths through the residential districts "Boyana" and "Knyajevo". The hotel complex guarantees having a good time and a pleasant vacation and depending on the guest's choice offers VIP-service for two presidential flats, 6 penthouses, 30 rooms with two and 7 rooms with one bed. Price (with VAT) also includes breakfast, insurance, fitness, swimming pool, sauna, solarium, jacuzzi, guarded parking, in winter - skis wardrobe and transportation to skis track. The wonderful view of the Kopitoto complex is combined with an exquisite interior, an exclusively varied and high quality kitchen, a perfect service in the restaurant, a pastry shop and a lobby bar. 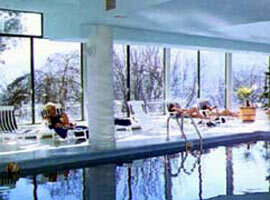 Also we offer a fitness hall, a massage room and a covered swimming pool. 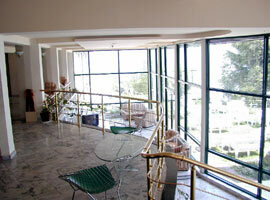 The restaurant is suitable for family and business parties, public dinners, organized acts, cocktails and private events. Upon request workshops, seminars a special homemade meal we'll prepare it! 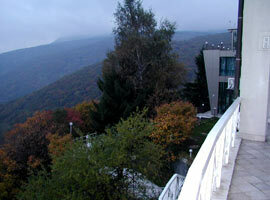 The complex has a big free parking and offers the possibility of outing and ski tourism in the Vitosha National Park. 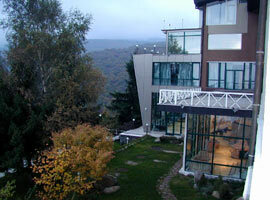 The magnificent combination of the picturesque nature of Vitosha and the Luxury atmosphere of Kopitoto complex are the precondition for a pleasant and whole year rest for Sofia residents and guests from all Bulgaria and abroad. 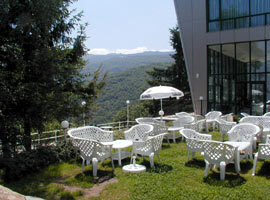 The visitors are in permanent touch with nature from the terraces of the restaurant and the hotel.